So here we are, hours away from another TronWallet release and the Slack channel of our team at Getty/IO bristles with messages of anticipation and excitement. What could propel a group of your usual hard-nosed, stoic, practical software engineers to such display of unrestrained emotion other than starry-eyed thoughts of George R. R. Martin finishing A Song of Ice and Fire? TronWallet has finally been reviewed and accepted by Apple’s App Store. Ordinarily this shouldn’t be anything unusual, the team having ample experience publishing apps to the store, so let’s dive a little deeper into what makes this release special. We started our development with a strong drive to build and validate the app for both platforms (iOS and Android). Not long after, our hopes and dreams of a multi-platform simultaneous launch found its first bump in the road. One of the many dependencies we were using was causing conflicts with our native module used to create accounts and deal with the inner workings of the crypto world. It was at that moment that we realized that we had to make a compromise: either we go down the multi-platform road as we had planned or we abandon those early goals for the sake of a faster release. We chose the latter and continued with our application focused mostly on Android development while we fixed the iOS conflicts that were holding us back. This caused our initial 1.0 release on iOS to be a reduced version of our Android app with only the Balance and Send screens included in the package sent to the app store. The submission of the app to the store took place on the 22nd of July and that marked the day of the second hump we had to get over. It took no less than 30 days for TronWallet to be reviewed and accepted to the store. This was by far the longest we had to wait for an App Store review in the history of Getty/IO and it goes without saying that internally we were all anxious for some good news from Apple. 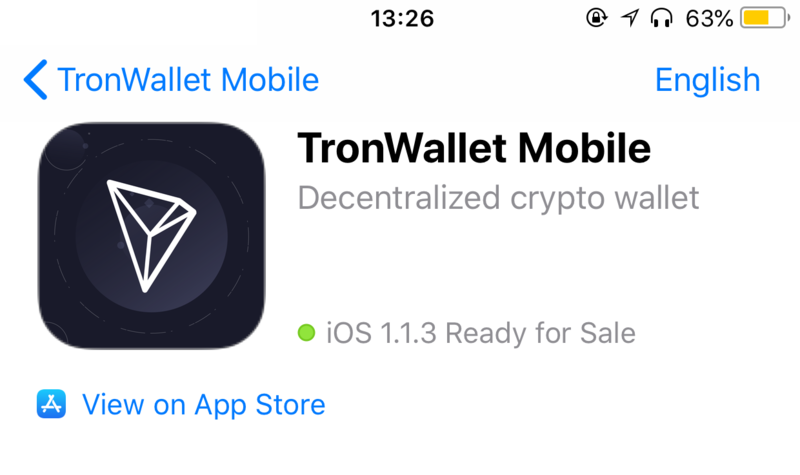 Finally, after a month of trials and tribulations connected to the iOS version of the app, TronWallet was cleared and accepted to the app store but this isn’t end of the story. 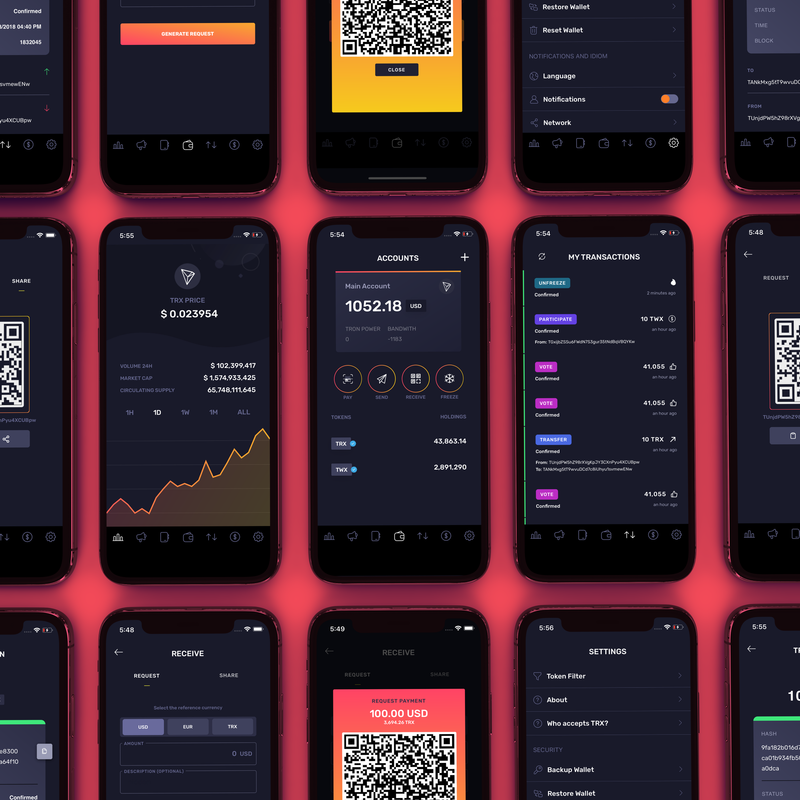 Since we have been working to homogenize our app across both platforms our is team is proud to announce that the version being ultimately released on the App Store is as of this moment the carbon copy of our latest Android release featuring the Address Book and Multiple Accounts. This past month of development has been a nail-biter with the App Store issues and multiple bugs creeping up as part of normal development of a feature that almost entirely rewrites the foundations of the app but with the help of the always helpful strong brazilian coffee and hard work we pulled through and are ready to complete our most ambitious release yet. For all our iOS users out there, your time has come! Multiple Accounts and an Address Book to store my contacts in TronWallet?